Hand sanitizer, while not usually in widespread demand in retail and commercial buildings, became a popular item during the first months of the H1N1 (swine flu) pandemic earlier this year. Building service contractors were asked to mount the sanitizers inside and outside restrooms, and even inside building entryways. 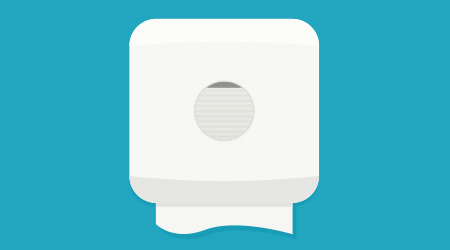 Since sanitizers do not need to be accompanied by water, they are easy to use without needing to be located in a restroom. Studies show that hand sanitizers can also reduce the spread of disease by as much as 50 percent. But hand sanitizers shouldn’t only be used in extreme cases such as the H1N1 pandemic. They can be used yearlong to curb spread of the common cold and flu anytime occupants aren’t able to wash their hands — and according to one study, Americans aren’t washing their hands enough. The Soap and Detergent Association (SDA) surveyed Americans on their hand hygiene and the results weren’t good. Overall, the SDA gave Americans a C minus grade on its 2008 Report Card. According to the report, only 85 percent of respondents say they always wash their hands after using the restroom and 39 percent surveyed seldom or never wash their hands after coughing or sneezing. Armed with this kind of information BSCs can implore their customers to implement hand sanitizing dispensers, helping encourage building occupants to sanitize hands whenever hand washing is inaccessible. “Hand sanitizing can be done at the desk if you haven’t washed your hands for an hour or two — you can make sure you hit it with a sanitizer before you shake hands,” says Denise Neff, branch manager for Scranton, Penn.-based Pennsylvania Paper & Supply Co.
Hand sanitizers are available in alcohol-based, water-based and biobased varieties. Alcohol-based is the most common type and its primary benefit is its effectiveness in killing bacteria. The main ingredient in these sanitizers is ethyl alcohol. A natural antiseptic, ethyl alcohol kills germs instantly and evaporates quickly. It should be noted that alcohol-based sanitizers are harmful if swallowed and therefore not commonly used in schools with young children. They can also dry out the skin if frequently used. Manufacturers of water-based hand sanitizers typically tout the products as natural and safe (especially for children) and easy on the skin. Many water-based sanitizers are free of dyes, fragrances and other ingredients that some users might find unnecessary. Biobased hand sanitizers are considered environmentally friendly because they are made from natural ingredients. Similar to water-based sanitizers, they are also not as harsh on the skin as alcohol-based products. Biobased sanitizers are biodegradable and not subject to the misuse of sanitizers containing alcohol. Water-based and biobased options may be gaining some ground on alcohol-based varieties because they are less harsh and are better able to comply with the increasingly common state regulations concerning environmental impact, says Neff. Hand sanitizer can be dispensed as a liquid, foam, spray or wipe. BSCs should offer to place and refill hand sanitizer dispensers in high-traffic areas where soap and water are not readily available. In commercial offices, BSCs can place stands or wall-mounted dispensers in lobbies near receptions desks, and next to fax machines or copy machines. Cafeterias and breakrooms are other prime areas for hand sanitizer — according to the SDA’s report card, 35 percent of Americans don’t wash their hands before lunch. BSCs can also place individual bottles of hand sanitizer at people’s desks, especially if multiple people are using the same workspace and sharing phones and computers. At Dallas-based Total Building Maintenance (TBM), one major client has TBM place and make daily refills of between 250 and 300 bottles of ethyl alcohol-based hand sanitizer at people’s individual desks, says Neil Chopra, vice president of operations. At other customer facilities, TBM janitors place sanitizer dispensers around the building as a free add-on to their existing services, giving TBM a competitive advantage over other BSCs, says Chopra. When occurrences like H1N1 pandemic cause heightened interest in hand sanitizers, it’s important that the fundamentals of basic hand washing don’t get lost in the shuffle. Hand sanitizing is a good alternative to hand washing when soap and water are not present, but they are not a substitute. “Sanitizing is to be done in between hand washing,” says Neff. A thorough hand washing requires cleansing with soap and water for at least 15 to 20 seconds to achieve the removal of all dirt, germs and other substances that might be on the hands — followed by rinsing and drying the hands. Hand sanitizing, by contrast, simply applies a bacteria-killing agent to the hands. It will kill the bacteria, but it will not completely scrub dirt or grime off hands. Hand sanitizer is often a welcome option for people who want to clean their hands during times when a trip to the restroom simply isn’t feasible — and because of that appeal, they have become a growing profit opportunity for BSCs who understand how to turn that appeal into increased customer satisfaction.